The Kid Who Would Be King - Available as a download or stream? Louis Serkis and Sir Patrick Stewart will star in the upcoming fantasy/adventure flick from Joe Cornish, “The Kid Who Would Be King”. 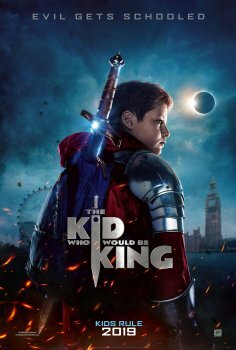 The second feature film from Cornish, follows a young boy named Alex whose trivial problems become a distant memory when he discovers the legendary sword known as “Excalibur”. Alex and his dorky friends must wield the sword with great heroism as they must save their world from a medieval villain known as Morgana, played by Rebecca Ferguson.